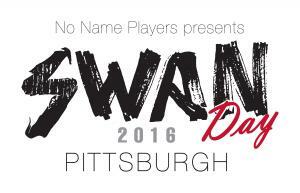 Join No Name Players for our 8th annual SWAN (Support Women Artists Now) Day event! There truly is no other event like it in Pittsburgh! 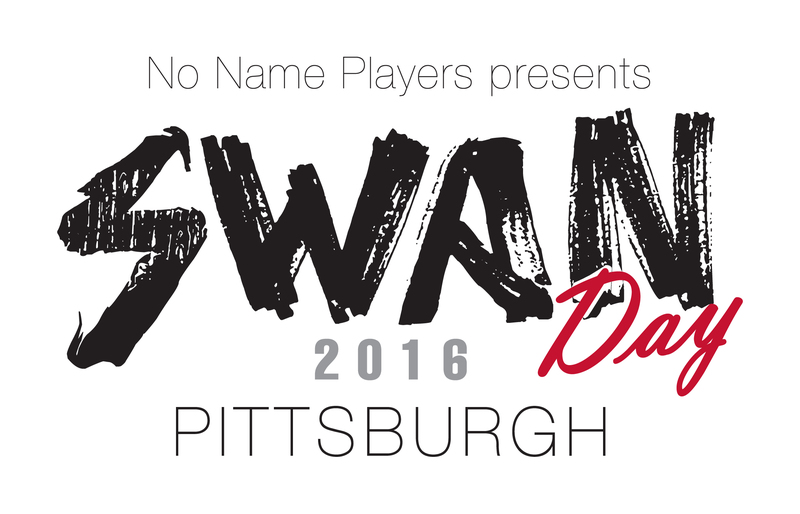 Presented for one night only, SWAN Day Pittsburgh 2016 will feature WORLD PREMIERE works by local female MUSICIANS, DANCERS, THEATRE ARTISTS, FILMMAKERS and VISUAL ARTISTS. For our 2016 event, we have asked artists to submit works that best exemplify their artistic response to this idea: “And suddenly you know... It's time to start something new and trust the magic of beginnings”. The evening will also include live art, surprise giveaways and more! It’s all in support of Pittsburgh’s fabulous women artists. Please join us as we do our part to honor the power of women artists and their work. 20% of all ticket sales for SWAN Day Pittsburgh 2016 will be donated to the YWCA of Greater Pittsburgh. Featured artists include: Patricia Apuzzo, Bodiography Contemporary Ballet, Laura Barletta, Anna Brewer, Minda Briley, Camelia Road, Cheryl Capezzuti, Caroline Collins, Tiara Dinkins, Julia Geisler, Melissa Hill Grande, Wendy Grube, Jennifer Guffey, Kate Haggerty, Shaun Cameron Hall, Kevin Hejna, Jim Helfrich, Diana Ifft, Erika Knox, Lori Lemieux, Jasmine Leonard, Alex Manalo, Aimee Manion, Missy Moreno, Njaimeh Njie, Jena Oberg, Stephanie Oplinger, Bridgette Perdue, Joanne Pompeo, Moira Quigley, Reed Dance, Jennifer Schaupp, Crystal Smith, Maighread Southard-Wray, Natalie Spanner, Erika Strasburg, The Telephone Line, Texture Contemporary Ballet, The Sisters Sorella & more! Twentieth Century Club 4201 Bigelow Blvd.